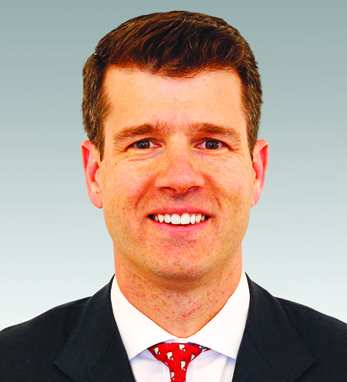 Sean P. Kelly/Nomura Securities International, Inc.
Sean Kelly is a managing director at Nomura Securities International, Inc., where he manages the Capital Commitments team for the Acquisition and Leveraged Finance business in the Americas. Sean is a graduate of Wesleyan University where he received a B.A. in government. He later attended University College Cork, completing an M.A. in history, and Boston College where he earned an M.B.A. Sean has an extensive career in finance, having worked for FleetBoston, Bank of America, and Lehman Brothers prior to joining Nomura. He is a member of Nomura’s Debt / Loan Committee. Outside of work, Sean serves on the Advisory Board of Glucksman Ireland House NYU and is a member of the Gaelic American Club in Fairfield, C.T. and the Irish Arts Center. He lives in Connecticut with his wife Deirdre and their children Aisling and Liam.